Let’s get this straight. Marketing is not something you learn. Rather, it is something you DO. Yet, in order to get it done right, you need the right tools. The photographic industry is awash in ‘lookeymee’, ego driven, copy cat, image and branding style marketing. ALL WRONG. No way to grow a business. Photography is business, and business is all about marketing. Without it, you may as well pack it in 45 seconds ago. I AM DEAD SERIOUS ABOUT THIS. Most photographers don’t even understand what marketing is. I guess that’s why so many earn so little income in their photography business. The statistics are dismal at best and they back me on this one. 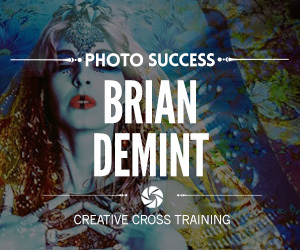 If you were drawn here because you want to earn a better income and create a better life for yourself in your own successful photography business, then you’ve come to the right place. I know. I’ve the proverbial ‘been there, done that’. My experiences in both my struggles and success’s back me up. And I am here to help you succeed….. If you want to succeed in your own photography business, then you can’t stay in the photography business. YOU MUST BE IN THE ‘MARKETING’ OF YOUR PHOTOGRAPHY SERVICES BUSINESS. What are the Platinum Club Marketing Newsletters and audios you ask? Publicity Secrets for your photography studio. The essential ingredients for maximum results with one of the best marketing strategies available. 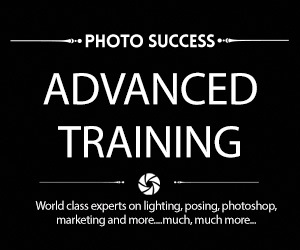 Included are real examples and tactics used in my photography studio and other photographers who have successfully applied publicity in their photography business. Publicity is the root of branding, and publicity can be your most powerful secret weapon as you build community awareness and market position. Affiliation and cross marketing tactics that you can use in your town to grow and succeed. Some of the BEST kept secrets. There is an easy, low cost, or no cost way to go after your ideal target market. It’s called affiliation marketing. 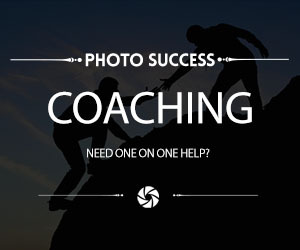 I know of no better way than this in order to grow your photography biz. Sales and selling strategies revealed. Confused about selling. Feel you weren’t born with ‘the gift’. Worry not. Selling is de-mystified once and for all in this issue. Over four hours devoted to this timely and important topic. Interviews with world class experts and top notch information how on to create maximum sales. 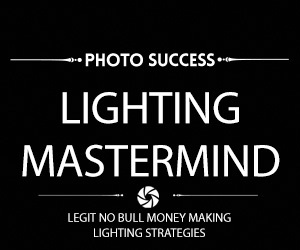 Wealth Attraction Strategies for photographers revealed. It’s true, photographers, statistically speaking, are not the wealthiest, but you don’t have to be in the majority statistic. 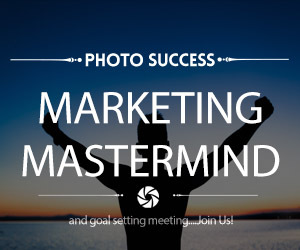 Learn how to create the right mindset, develop wealth attraction strategies and discover what a small percentage of truly successful photographers know- that making a profit is a good thing, and it all starts with YOU. Don’t GO BROKE! Creating newsletters for your studio. One of my favorite marketing strategies for growing a really strong following and acquiring a huge amount of sessions and sales. In this issue I reveal everything you need to know to use newsletters easily and for maximum effect. Also includes samples and a download newsletter template. The Complete Studio- See the BIG PICTURE! In this issue I explain what it takes to develop a steady, continuous flow of clients based on offers, widgets and programs designed to bring each client into your ‘family’. The Pizazz Factor: How to develop a winning personality and ooze charisma. In photography things are different than other services and products. We’re not Al the plumber, Joe the mechanic or Lisa the dentist- we touch people’s lives at a much deeper level, and when you bring a winning, outgoing, enthusiastic personality to each session and each sales interview, you’re touching their hearts at a much more intimate level. This is a little known area, ignored by most. Ignore it at your own peril. But you need not be left in the dark, since I bring it all to you in this issue. 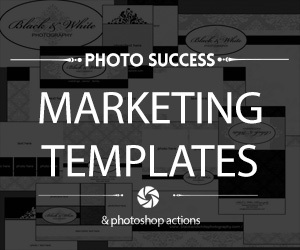 General marketing strategies covering just about every possible angle, and area that you need to understand and implement into your photography studio for total success. Win Leads and Influence Clients– Some techniques never fade or die out. Use these timeless marketing strategies and success principles that few photographers know about. Fairy Day portraits. One of our most successful marketing campaigns is the Fairy Day. In this newsletter I reveal and talk about the specific strategies that we used to fill out the event with sessions, all day, every half hour, each client buying reprint and packages. Epoca Tour Highlights. In this newsletter I go over the highlights of my presentation when I went on a cross-country tour. It is loaded with up to date marketing information. The Marketing Funnel. In this newsletter I created a visual called the marketing funnel. You can see and better understand that there is no ‘one way’ to get 20 clients, but there are twenty ways to get one client. Plus, I have added bonus interviews and audios such as the interview with master marketer and photographer Kerry Allen, where he reveals step-by-step how he successfully booked over 15 weddings from one wedding show in a highly competitive market. Or the interview with John Ratchford, where, in an area that had never heard of senior photography, and where the devastation to the economy has seen upwards of 49% unemployment (you’ll love his answer when I asked him how he manages in such an environment) John has created so much demand he can barely keep up. Then there’s the interview series with master salesperson Reg Mess. NO one knows selling the way Reg does. He had so much information we had to create a series of interviews.The interview with Kim Cartmell digs deep into the many, many weekly and monthly marketing promotions she creates relentlessly in order to keep the phone ringing and the camera clicking with profits. In one interview with Jen Dupont, Jen talks about how she creates so much demand in her high-volume, high profit studio that her specials literally book to capacity with little or no effort. The interview with painter master and photographer Marylin Sholin, Marylin digs deep into strategies on using your photography as pieces of art. You’ll be amazed at how simple and easy this is. This is only the tip of the iceberg! There is so much more…..frankly, if you are not overwhelmed and amazed at the tons of high-quality information and strategies revealed in this system, I’d be shocked. The Platinum Club Newsletters may be exactly what you’ve been looking for…. Because I’m feeling super generous and I want you to succeed, I’ve decided to include two feature presentations. One, a Pricing Strategies for Photographers Video and TWO, Wealth Attraction Strategies for Photographers Video Presention. Pure GOLD! Yours, for investing. I’ve ALSO included several audios and a video for you on photography studio management strategies. Okay, I’ll admit, studio management isn’t the most glamorous topic, but it is IMPORTANT, and you NEED TO KNOW it, in order to be truly successful. There are many more audios not mentioned. If what you receive doesn’t simply blow you away, I don’t know what will…. I will admit, this is a huge amount of information. But if you value your business and yourself, enough to dig out and study some of the best information available today on running a successful photography studio, then this is for YOU! No excuses…. To succeed in today’s environment, you need to get and keep the edge and stay competitive, and I can help you do just that. I am like a trusted coach, a mentor. Someone who won’t spoon-feed you sugarcoated, regurgitated industry recycled garbage. The strategies you receive from me are street- tested and true. Not hypothetical academia, but real quality tactics that work. Life is good, and I am grateful for all that I have. One of my greatest passions is teaching others, and frankly, I have selfish reasons for doing so on an on-going basis. I know that when I help others succeed, I succeed. Is it still possible to make huge profits in photography today? The cynics would have you believe otherwise. My studio keeps growing by leaps and bounds, and the opportunities flow into my life constantly. The fact is when you apply solid marketing and success strategies you will vastly increase your chances of success. But you need to stay in touch with what works and what doesn’t. Why not learn from someone who’s been there, done that, instead of trying to figure it out the long, hard, costly way. Genius is in learning the mistakes from others. What’s important in a photography business? Is it the equipment gear you own/use? Is it the cool products you offer? Your location? The truth is nothing matters unless you have a continuous flow of PAYING clients. This is the foundation of any business. Achieve this and everything else falls into place. Get decades of valuable information from the trenches. There is virtually no other place where you will find this much information crammed into one package. When you consider the hours and hours of audios, the videos on management and the pages of newsletters included, your investment of ONLY $97.00 seems like a joke. But this is no joke. This information is worth many, many times your investment. All you need to do is act.